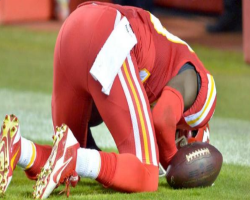 On Monday night, Kansas City Chiefs safety Husain Abdullah intercepted a Tom Brady pass and returned it for a touchdown. He decided to celebrate the big play and knelt to the ground in the endzone to pray. He was penalized according to the rulebook but the next day the NFL said it goofed. Now there is one set of rules for religious players and another set for those who don’t wear their religion on their sleeves. Religious privilege has arrived in the NFL. This entry was posted in Culture, Football, Humanism, Religion, Sports and tagged Football, God, Husain Abdullah, NFL, religious privilege, Tim Tebow on October 1, 2014 by Doug. 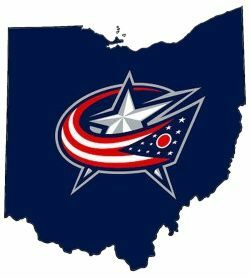 I’ve been a fan of the Columbus Blue Jackets since they were created in 2000 so I am thrilled about their appearance in the 2014 Stanley Cup Playoffs. They are making all of us in Central Ohio proud. I’m just glad it hasn’t been a sweep like in 2009 against Detroit. This entry was posted in Columbus, Sports and tagged Columbus Blue Jackets, Hockey, National Hockey League, Pittsburgh Penguins, Stanley Cup Playoffs on April 24, 2014 by Doug. 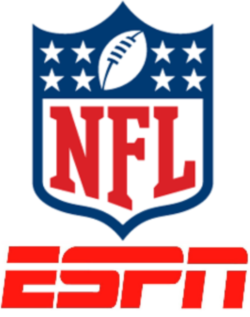 Last week it was reported that sports network ESPN had pulled out of a co-production with PBS’ ‘Frontline’ documentary show about the serious issue of concussions in the National Football League (NFL). The report was that the NFL pressured ESPN to pull out which shouldn’t be a surprise since the network pays a billion dollars for the rights to NFL games and league access. It is further proof that our mainstream media won’t challenge their corporate owners. This entry was posted in Media, Sports, Television and tagged concussions, Corporatism, ESPN, journalism fail, NFL on August 28, 2013 by Doug. 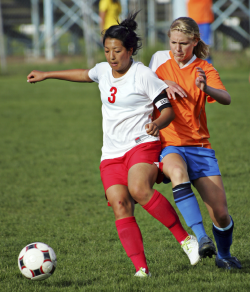 What’s More Important, Sports Or Human Rights? Russia is hosting the 2014 Winter Olympics in Sochi. Russia also recently passed a new law banning ‘propaganda of nontraditional sexual relations around minors’ which has been used to attack LGBT groups in the country. The law means gay pride parades are forbidden as is any literature or signs supporting gay rights. 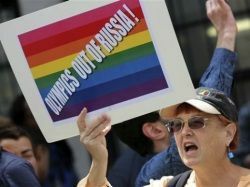 Although the Russian government has told the International Olympic Committee (IOC) that the law won’t be applied to athletes, there are calls for a boycott of the games. Of course the people who will profit from the games are against the boycott. They have put sports ahead of human rights. This entry was posted in Culture, Humanism, Politics, Progressive, Sports and tagged 2014 Winter Olympics. boycott, civil rights, human rights, Human Rights Watch, LGBT, Russia, Sochi on August 9, 2013 by Doug.